The assessee who is required to furnish the tax audit report for AY 2013-14 shall submit the tax audit report electronically. 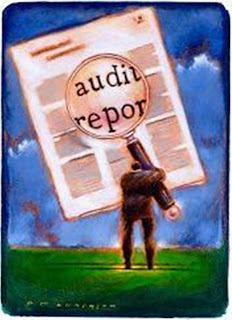 The following steps should be followed for filing the tax audit report electronically. Those Chartered Accountants (‘CA’) who have the Certificate of Practice (‘COP’) or are eligible to sign the tax audit report u/s 44AB of the Income Tax Act (‘the Act’) shall register themselves as Tax Professionals. After registration, you will get an activation link on email id provided by you. Now, you have been registered as a tax professional and your user id is ARCA (authorized representative CA) and your membership number. Eg. ARCA012345. This step has been followed by the assessee or by CA by using user id and password of assessee. - Add CA – Now you have to enter the membership no of CA (from whom the assessee wants to get his account audited) and the system will automatically reflects the name of your CA (if he is already registered as tax professional as mentioned in step 1). Download excel utility form of the tax audit report, fill it and generate the XML file (same as generated for filing ROI). Further, I wish to bring to your kind notice that this tax audit report is not the substitute of the existing tax audit report. In other words, CA should also prepare detailed tax audit report as prepared by him in the preceding years, since the XML audit report is exhaustive in nature and there is no scope of description in it. Prepare the final balance sheet and profit and loss account before submitting the tax audit report. Balance sheet and profit & loss account should be attached (in pdf format) while uploading the XML file of tax audit report. Assessee can review the tax audit report, balance sheet and profit and loss account submitted by the CA. Assessee can reject the documents submitted by the CA, in that case the entire procedure of filing has to be start from the beginning. Unless and until, tax audit report has been approved by the assessee, it has been assumed that no tax audit report has been furnished by the assessee. In simple words, tax audit report should also be approved by the assessee before the due date of filing the tax audit report.